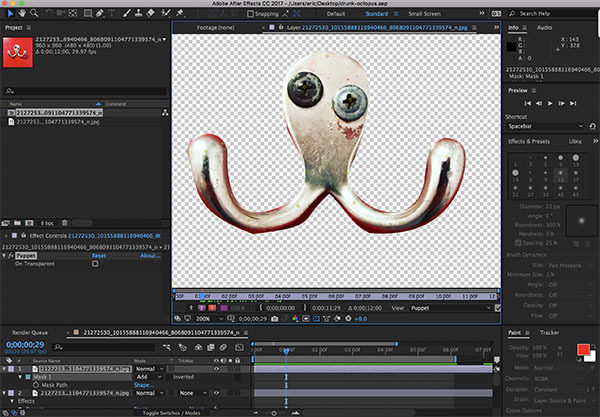 We animated photograph of drunk octopus who wants to fight using Adobe AfterEffects. 1. First we masked the hook from the background. Masking from background using pen tool with RotoBezier turned off. 2. Then we duplicated the layer, deleted the mask, and used the clone tool to copy background color under the arms on that layer. Erased the arms but not the shadows. 3. 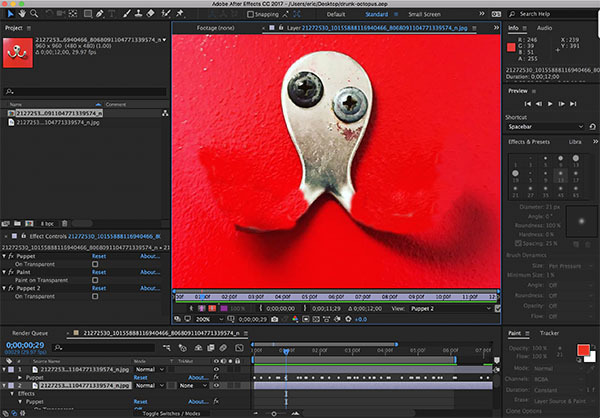 Finally, we used the pin tool to animate some movement in the masked layer. We went subtile here and made the eyes move a bit.